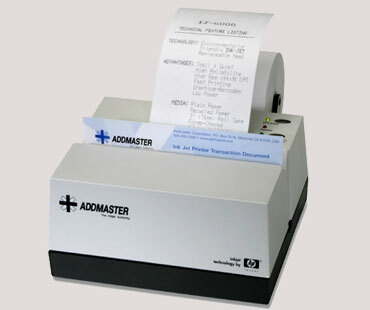 Addmaster introduced the first inkjet receipt printer to banks over 20 years ago and has popularized the use of inkjet technology in financial applications. They offer two receipt and validation Addmaster printers, one featuring the same HP cartridge as our popular IJ-6080 printers and the other featuring a higher speed and high resolution Addmaster printer engine. We also offer a low-cost MICR reader which doubles as a single-line validation Addmaster printer and a compact image scanner that is ideal for teller capture.